Edward F. Katzenberger, 91, AHS founder, helicopter pioneer, writer and artist, died on February 27, 2008. Born May 20, 1916, he was hired by Igor I. Sikorsky in 1942 to work as a project engineer on the prototype XR-5 helicopter. The patent credits him along with Mr. Sikorsky as originators of the helicopter design. The XR-5 led to the development of one of the first successful production helicopters in the United States – the R-5. During his career, he became chief design engineer and chief of advanced design. 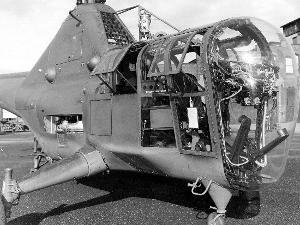 In 1965, he was named Sikorsky’s chief engineer, where he contributed to the design and development of more than 12 helicopter designs and various components. The Sikorsky aircraft he designed have flown all U.S. presidents since Dwight Eisenhower, retrieved the first Mercury space capsules and participated in the first U.S. Coast Guard helicopter rescues at sea. 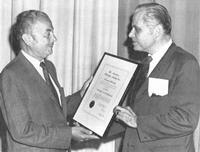 He was an AHS member since the Society’s founding in 1943 and was named an AHS Honorary Fellow in 1972.